Practitioners of the Afro-Cuban religion Santería believe that powerful spirit forces--orishas--provide guidance and inspiration channeled in the form of song. Listening intently makes one’s soul vibrate at the same frequency of the orisha being praised, creating a bridge between God and humankind that releases the orisha’s healing power. 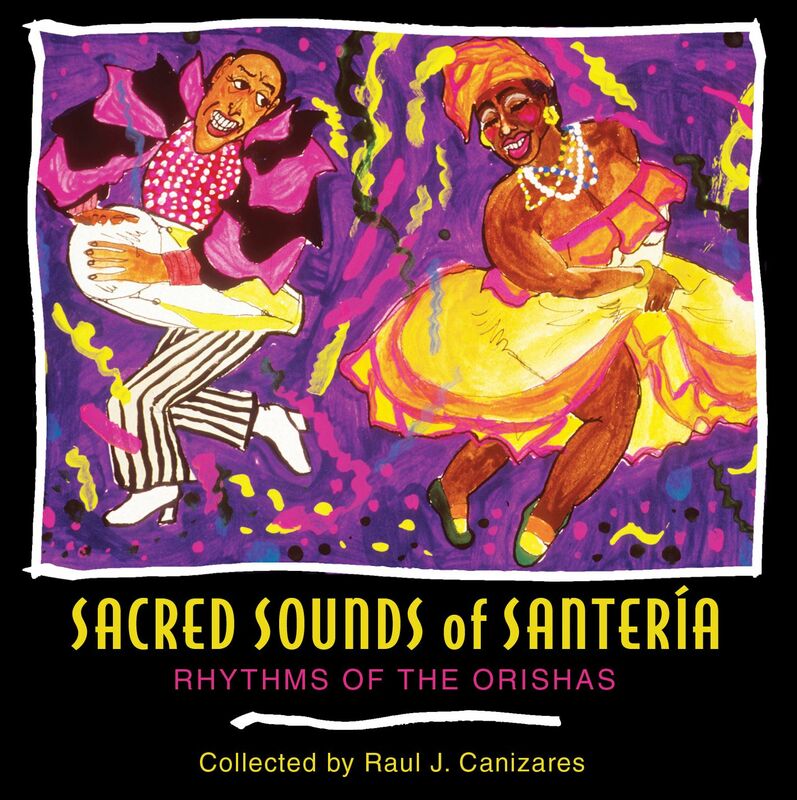 Sacred Sounds of Santería includes extremely rare and powerful field recordings made in the hinterlands of Cuba in the 1950s during actual Santería rituals, along with studio recorded songs that feature 40 of the most gifted soloists, choral singers, and drummers on the island. Raul Canizares (1955-2002) was head of the Santeria Temple Orisha Consciousness Movement in Manhattan and the author of Shango: An African-American Titan. "This album creates a mystical gateway through which one can enter into the beauty and power of the orishas." "While a number of recordings of Cuban music have recently become available in the US, none document traditional Afro-Cuban music as well as this CD."